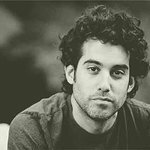 Self-taught musician, Joshua Radin was first heard on the US sitcom ‘Scrubs’ soundtrack. After this success, he soon went on to feature in the soundtracks on ‘Brothers and Sisters’, ‘One Tree Hill’, ‘Greys Anatomy’ and ‘American Idol’. To date, he has built an impressive portfolio of more than 75 film and tv placements. In January, Josh began supporting Little Kids Rock and has since visited 6 classrooms and even invited some of the ‘little kids’ on stage to perform with him. Google trends for "Joshua Radin"
We don't have any news stories about Joshua Radin. We don't have any videos related to Joshua Radin.